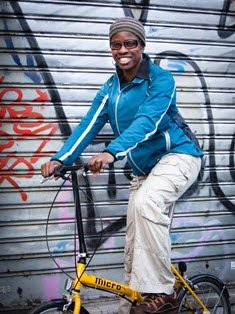 2Wheel Chick: Race organisers and Women's Cycling ! Don't get me wrong - I enjoy competitive cycling and the women's racing scene, but we sometimes get a raw deal. In the old days when there were hardly any women road racing we had to race with the 4th category men. Ok if you're new to riding at speed, but a 2nd or 3rd category woman deserves to race with more skilled riders rather than being left at the mercy of certain wobblers who have never ridden in a bunch before and potentially being brought down ! Also, for a long time a woman couldn't score British Cycling points in a men's race, even if she finished in a points scoring position. But now that's changed, and a woman is free to race with men if she has the same category licence (or higher) than the men she races with. And she can score points too. In any case, there are so many more women's races taking place nowadays so we can do a decent season without having to do any racing with the men ! And I for one am looking forward to doing the women's Tour de France Support race in Hyde Park this Sunday. But there are still issues. 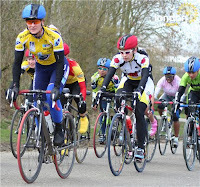 Take the women's race I did yesterday at Hillingdon Cycle Circuit. This race runs concurrently with the male vets race, though their race is longer. The commissaire explains to us that these are two separate events and if we are caught by the men's race our peloton should slow down to allow them to pass. That's fair enough, but what happens if the men overtake our peloton and then slow down ? Bear in mind that this is a 40 man peloton taking up the whole track. And what's more, what are we supposed to do once they've slowed down and we are in the process of chasing the Evans RT girl who's gone on a breakaway ? Well that was the situation we were faced with. The women at the front shouted to the men to get a move on, so that we could get on with our race, but they wouldn't budge. Finally out of frustration the woman at the front accelerated the pace, meaning that we ended up racing as one big peloton with the vets. (It was great to be in a big peloton but that wasn't the point of the exercise !). Eventually the commissaire stopped our race. The women were made to wait for a minute, and then the girl who had done the breakaway was aloud to set off with a 20second lead on the main bunch. We were particularly aggrieved by this because part of the reason she'd accumulated that time on us was because she'd been ahead of the vets peloton and we did not have right of way to chase her down ! We eventually got started, and worked furiously together to catch her. The race was eventually won by a woman from Agiskoviner - albeit after our sprint was delayed when the vets caught us again in the closing stages and we had to slow down. We all agreed that it had been the vets who were at fault and the women were being treated unfairly. Also recently there have been problems with results. For example, the Brentwood Crits. The national series women's race I did at Brentwood had points awarded to riders down to 20th spot. There were 25 women in the race, so results should have been published down to 20th place, if not 25th. Instead, we have only seen results down to 16th place. British Cycling can't comment on the matter as they say it is the race commissaire on the day who has the final say. We have had no explanation from the organisers despite having contacted them. So certain riders who may have been owed points (myself included) have been awarded nothing. The men's equivalent race that took place that day had results published down to 30th place, even though only the top 20 riders were awarded British Cycling points. That's not good form. Organisers bemoan the fact that they don't have as many women racing as they would like at their events. Organisers please note that the work to attract women riders should be on-going. If we are turning out regularly to race we want women's cycle racing to be recognised and treated with respect. That's the best thing you can do to attract and keep the riders. Ok, rant over !